Tickets are available now for The Kalmia Club's 2019 Hidden Gardens of Lambertville Tour! The self-guided tour begins at the Kalmia Clubhouse, 39 York Street, Lambertville, NJ, and highlights Lambertville’s most elegant, glorious and elusive hidden gardens. The 23nd annual tour takes place Saturday, June 8, from 10:00 a.m. - 4:00 p.m., rain or shine, beginning from the historic pink Kalmia Clubhouse at 39 York Street. This walking tour's net proceeds further the Kalmia Club's mission and assist with its community outreach and annual scholarship programs for local young women. You may purchase tickets using the PayPal button below. Tickets will be held for you at the Kalmia Clubhouse until the day of the tour. Simply arrive at 39 York Street, pick up your tickets and walking map tour book, and begin exploring Lambertville's amazing hidden gardens! Seating is limited so buy tickets early! The Kalmia Club's 22nd annual garden tour was held on Saturday, June 9th, 2018 from 10:00 a.m. to 4:00 p.m. This walking tour's net proceeds further the Kalmia Club's mission and assist with its community outreach and annual scholarship programs. The women of The Kalmia Club are holding their spring fundraiser on Saturday evening April 21 from 7:00 to 11:00 p.m. at the Lambertville Elks at 66 Wilson Street. This is second year the two service organizations have worked together. Last year’s special scholarship fundraiser in honor of Elks member Tina Ledger was a memorable evening befitting the memory of a young woman who exemplified all that is good in the community of Lambertville. This year’s April 21 evening fundraiser should prove to be as enjoyable. The pasta meal complete with salad and bread will be served piping hot from the kitchen of the Elks. The Kalmia women promise a table of toothsome desserts. The cash bar will be staffed by the veteran bartenders of the Elks. After dinner plenty of time for dancing and conversation is assured. Once again, Lambertville’s band The Inflexables with special guest J. B. Kline will perform. These area musicians are always so supportive of the community’s service organizations and are greatly appreciated. The event chair Fran Bardusco and her committee members will be strolling about selling those 50/50 raffle tickets individually and in those very long sleeves! The historic club located and maintained by the members at 39 York Street, now in its 120th plus year providing the area's women with opportunities for service, the arts and culture, has a long record of providing scholarships and other aid to school programs as well as funding to many area programs and charities. It is an honor to work with the Lambertville Elks, too a part of the city's rich history, once again. Since 1897, The Kalmia Club has been a member of the N.J. State Federation of Women's Clubs and the national General Federation of Women's Clubs. Kalmia's century-old clubhouse is on the N.J. Register of Historic Places and the National Register of Historic Places. Contact The Kalmia Club member and the fundraising event chair Fran Bardusco at franbardusco@gmail.com or 609-273-5974 for tickets. Tickets are also available to Bucks Ice Cream and Expresso Bar at 25 Bridge Street and at the Lambertville Elks. Seating is limited so buy tickets early! Winter Fun with the Kalmia Club! The community is invited to join the members of the Kalmia Club on January 21, 2018, at Mary Sheridan Park on York Street in Lambertville. The park is adjacent to Kalmia's clubhouse. Tickets are $10 per family and the fun takes place from 2:00 - 5:00 p.m.
Activities include photo with a snowman, origami, coloring station, bean bag toss and live entertainment! We'll have s’mores in the park, hot apple cider, hot chocolate, yummy snacks and a 50/50 raffle. The Kalmia Club's 21st annual garden tour was held on Saturday, June 10th, 2017 from 10:00 a.m. to 4:00 p.m.
Our annual tour highlighted some of Lambertville's most elegant and unique "hidden gardens." The self-guided tour began at the Kalmia Clubhouse, 39 York Street, Lambertville, NJ, and showcased a variety of garden types and plants, from eclectic to formal, orchids to cactus and beyond. Join us Saturday, April 22, 6:30-11 p.m. for a Dinner Dance Party Fundraiser in memory of Tina Ledger, at the Lambertville Elks, 66 Wilson Street. A $20 ticket covers all the pasta, salad and bread you can eat. 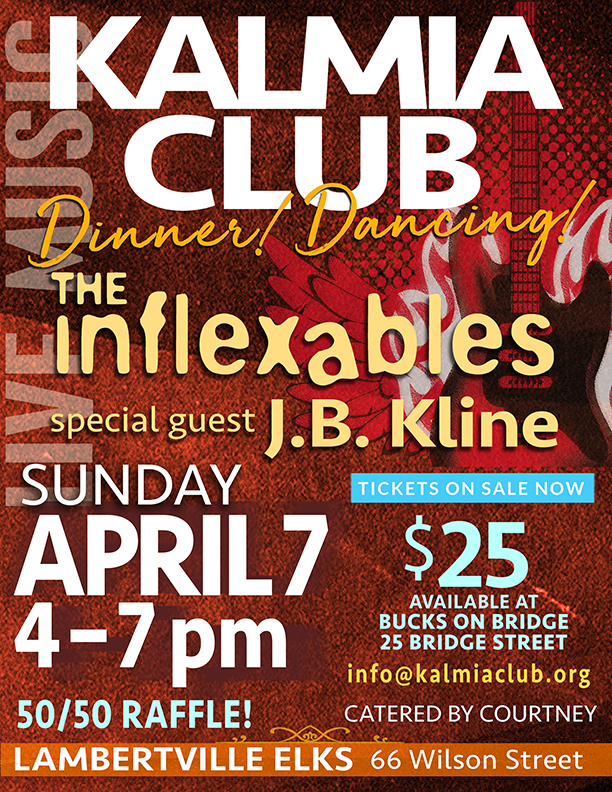 Dance to J.B. Kline, The Inflexables and Ladies of Lambertville. Cash bar & 50/50 raffle. Tickets can be purchased at Bucks County Coffee or Annie's Gourmet or by emailing franbardusco@gmail.com. All proceeds go to the scholarship fund for SHRHS senior girls. Tina was a lifelong resident of the area, SHRHS graduate and Elks member who died unexpectedly in December at age 42. The Kalmia Club's 2015 20th annual garden tour was held on Saturday, June 11th, 2016. Net proceeds were invested to further the Kalmia Club’s mission and assist with its community outreach and annual scholarship programs. The Kalmia Club's 2015 19th annual garden tour was held on Saturday, June 13th, 2015. Net proceeds were invested to further the Kalmia Club’s mission and assist with its community outreach and annual scholarship programs. The Kalmia Club's 2014 18th annual garden tour was held on Saturday, June 14th, 2014. Net proceeds were invested to further the Kalmia Club’s mission and assist with its community outreach and annual scholarship programs. For more information, call (609) 397-8650. Music provided by J.B. Kline Band, light fare provided by Jamie Hollander (cash wine & beer bar). Click here for more info! The Kalmia Club hosted a benefit artisans/crafters show on Saturday and Sunday, November 2-3, 10 a.m. to 4 p.m. at its historic pink clubhouse, 39 York Street, Lambertville, NJ near New Hope, PA. The Arts Desire show featured work by 14 artists from numerous mediums, including clay, jewelry, yarn, bags, photography, glass, metal and fine art. Stay tuned for information about the 2014 show! The Kalmia Club's 2013 17th annual garden tour was held on Saturday, June 8th, 2013 from 10:00 am to 4:00 pm. The walking tour's net proceeds will further the Kalmia Club’s mission and assist with its community outreach and annual scholarship programs. 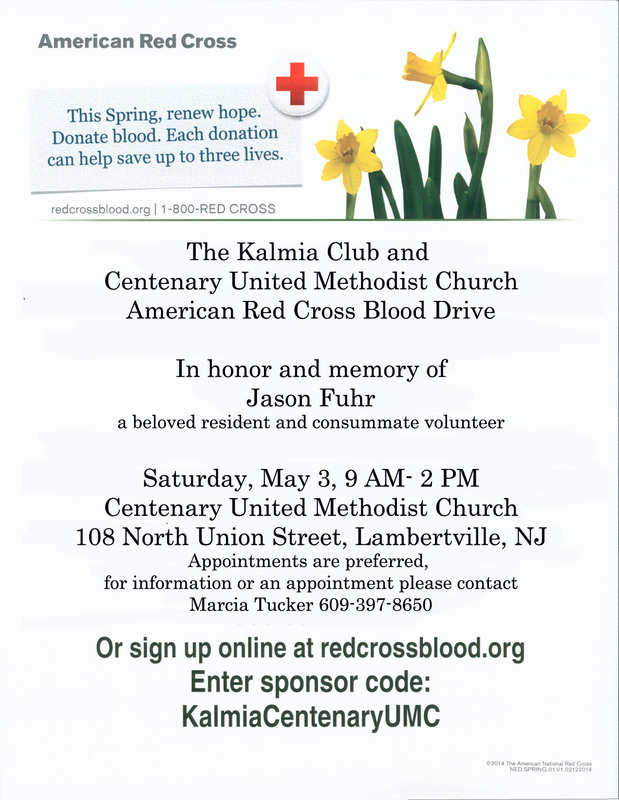 For more information, email kalmiablooddrive@gmail.com or call (609) 397-8650. 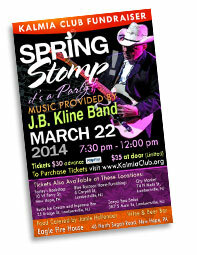 Music provided by J.B. Kline Band, light fare provided by Jamie Hollander (cash wine & beer bar). Tickets are also available at the door for $25. Click here to see photos from the 2011 Hidden Gardens tour! The 2012 Garden Tour will be held on Saturday, June 9th, 2012 from 10:00 am to 4:00 pm. Tickets are available in advance for $15 by mail. Tickets are also available on the day of the tour for $20. The walking tour's net proceeds will further the Kalmia Club’s mission and assist with its community outreach and annual scholarship programs. Read more about the 2012 Garden Tour here. The 2010 Garden Tour was held on Saturday, June 11th, 2011 from 10:00 am to 4:00 pm. Visitors got a chance to enjoy Lambertville's most elegant and unique “hidden gardens.” The self-guided tour began at the Kalmia Clubhouse, 39 York Street, Lambertville, NJ, and showcased a variety of garden types and plants, from eclectic to formal, orchids to cactus and beyond. Don't miss this unique opportunity to hear Ms. Critt bring everyon'es favorite Stephanie Plum characters to life: Grandma Mazur, Lula and Ranger - just to name a few. Seating is limited so reserve your seat today!! Riverside Room at Lambertville Station Inn, Lambertville, N.J.
C.J. 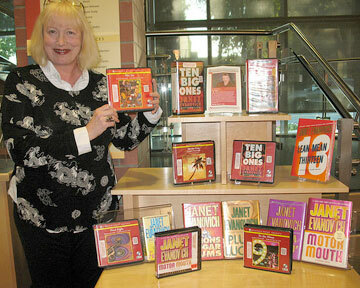 Critt is the award-winning voice of characters in author Janet Evanovich's bestselling audiobooks. The Texas-based actress, poet, director and playwright has narrated more than 150 books for novelists that also include Patricia Cornwell, Mary Higgins Clark and Anne Tyler. On June 14th, 2010, the Kalmia Club members opened the clubhouse to the community to celebrate the 100th Anniversary of the year the “Friends Meeting House” was “given and bequeathed” to the Club. Members attended in Victorian dress, historic memorabilia was displayed, a commemorative custom mural was created by a local artist, and Mrs. Deiley's U.S. History Class of 2010 created a 100th Anniversary commemorative video. The 2010 Garden Tour was held on Saturday, June 12th, 2010 from 10:00 am to 4:00 pm. The weather was beautiful and the event was well-attended. 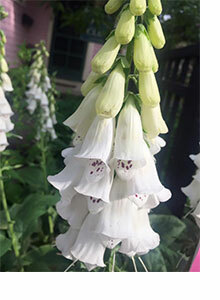 Visitors to historic Lambertville had a unique opportunity to enjoy a tour of the community’s “hidden gardens” – enchanting flower, herb and specialty gardens tucked off main streets and quaint alleyways winding throughout the Hunterdon County river town. To view pictures of the preview party, click here. To view pictures of the 2010 gardens, click here.